The influence of Amazon's Alexa is spreading. As well as moving into the workplace, Echo devices can now be shipped to eighty countries. This promises an expanded market for Alexa skills, so Amazon's announcement of two new monetization methods is welcome. The two new opportunities being introduced are Alexa in-skill purchasing to allow devs to sell premium content or digital subscriptions within skills and Amazon Pay for Alexa skills - making it easy for customers pay for goods and services in skills using the information already in their Amazon account—without needing to remember their username and password. Developers are invited to sign up for the developer preview and the features will be available in 2018. Participants in the early developer preview include TGI Friday's that is using Amazon Pay to allow customers to order ahead to select stores simply by asking Alexa. The popular voice app Jeopardy! now includes a subscription option called Double Jeopardy! that doubles the amount of playable content in the Jeopardy! skill by offering extra clues each weekday. Teen Jeopardy! and Sports Jeopardy! will soon offer monthly packs of clues for even greater challenges. There is no disputing that Amazon's Alexa dominates the voice assistant market. According to Strategy Analytics, sales of smart speakers will reach 24 million in 2017 and Alexa is running on 68%, whereas Google's Assistant only runs on 20%. Although the availability of third party skills has been a factor in Alexa's popularity, there are a lot of low quality, poorly supported skills as a result of Amazon's strategy of enticing developers with giveaways of devices, tee-shirts, hoodies and even socks. The approach could be considered successful if you simply count the number of skills available for Alexa, at total of around 25,000 third party voice apps but there is a great deal of redundancy and many are completely "undiscovered", i.e. never downloaded. This is reflected in findings by Dashbot that 62% of skills had no rating at all and a further 16% had only one rating. Dashbot also has statistics on voice app "discoverability" which show that over half the owners of smart speakers only use one to three voice apps and that 14% of respondents said they do not use any third party skills at all. But without any prospect of gaining revenue from an app once you had made it available what incentive was there for devs to promote, or improve their apps? Amazon's first attempt to raise the profile and the quality of voice apps, was a reward scheme whereby payments are awarded to developers who create and maintain the "most engaging" Alexa skills. The new monetization opportunities will allow developers to earn revenue related directly to the success of their apps. The recently launched Alexa for Business brings new opportunities for skills that will lend themselves to monetaization - and given that Alexa for Business is a paid-for service its users are likely to have a budget for skills. 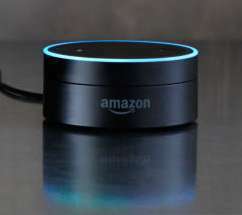 The enterprise market has also been expanded in that customers in over 80 countries can now order an Echo, Echo Dot, or Echo Plus from Amazon.co.uk, Amazon.de, or Amazon.com. Another opportunity is that developers will soon be able to use the Alexa Skills Kit to build personalized responses when Alexa recognizes a customer’s voice. Companies including Salesforce, Concur, RingCentral, Tact, and Acumatica are already building skills with the features that will enable more personalized experiences as part of Alexa for Business and Amazon is inviting developers interested in participating in an invitation-only preview to sign up.